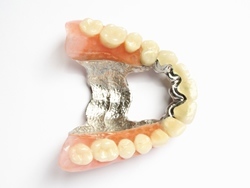 Dentures are a removable appliance used to replace missing teeth, They are fabricated using either acrylic or cobalt chrome to which false teeth are added. They help with speech, chewing, add support to your lips and chin as well as improving the appearance of your smile. Partial denture which replaces one tooth or several teeth. Full denture which replaces the whole set of teeth, on the upper or lower. 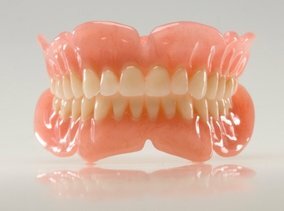 Dentures are kept in place by either using clasps which anchor around neighbouring teeth or by the dentures’ natural suction. On occasions a denture fixative or glue is recommended to aid in keeping the denture in place. All dentures are designed by the dentist or our dental technician to suit each patient’s individual needs.